In a heavy casserole, fry the bacon in the 3 tablespoons of butter until it is lightly browned. Remove with a slotted spoon and set aside. Brown the chicken pieces in batches in the hot fat in the casserole. Season with salt and pepper to taste. Return the bacon and all the chicken pieces to the casserole. Cover and cook slowly, for 10 minutes, turning the chicken once. Uncover and pour in the warm brandy. Averting your face, ignite the brandy with a lighted match. Shake the casserole back and forth for several seconds until the flames subside. Pour the wine into the casserole. Add just enough stock to cover the chicken. Stir in the tomato paste, garlic, and herbs. Bring to a simmer. Cover and cook gently for 25 to 30 minutes, or until the chicken is tender. Remove the chicken with a slotted spoon and set aside. Remove the casserole with the cooking liquid from the heat. Give the frying pan a quick rinse (or use another one if you own more than one large frying pan) and sauté the mushrooms in the 3 tablespoons of butter and 3 tablespoons of olive oil until browned. Remove with a slotted spoon and set aside. Skim the fat off the chicken cooking liquid in the casserole, then bring to a boil over high heat and cook rapidly, reducing the liquid to about 2¼ cups. Correct the seasoning, remove from the heat, and discard the bay leaf. Blend the 3 tablespoons of flour and the 2 tablespoons of butter together into a smooth paste (a beurre manié). Beat the paste into the hot liquid with a wire whip. Bring to a simmer, stirring, and cook for a minute or two. The sauce should be thick enough to coat a spoon lightly. Arrange the chicken in the casserole and baste with the sauce. Place the onions and mushrooms around it, and serve straight from the casserole or on a hot platter. Decorate with sprigs of parsley  the old-fashioned way! In France coq au vin is usually accompanied only by parsley potatoes, but if you wish, add a buttered green vegetable of your choice. 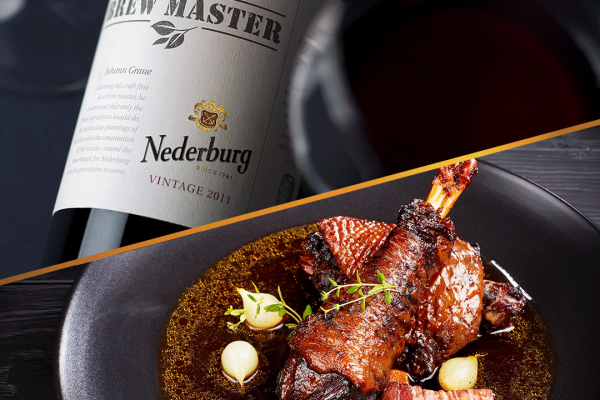 You cook coq au vin in Burgundy but serve it with Bordeaux! The reason? All the ingredients added create a heavy dish which demands an equally heavy wine. 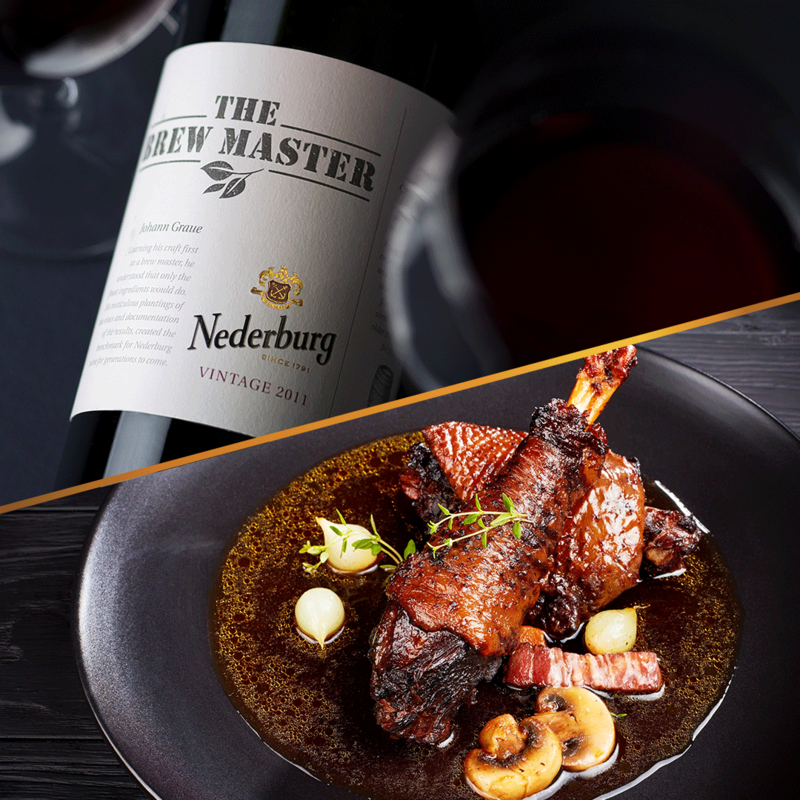 Pinot Noir from Burgundy is often not full-bodied enough for this stick-to-the-ribs dish.